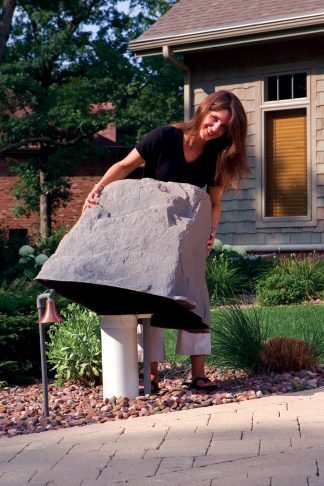 The Model 122 Mock Rock is a medium sized faux boulder designed to fill the gap between the 106 and 109 models. The 122 is a great choice for small wells, vent pipes, outdoor lighting transformers, outlets and other utilities that need covering. 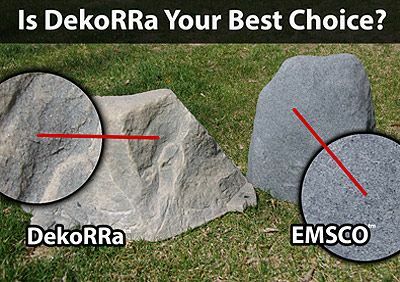 IMPORTANT: Please use the interior dimension charts below prior to ordering these fake rocks. 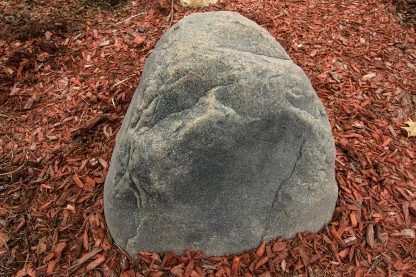 It doesn’t really matter if you’re far away or close enough to touch it, you’ll be equally impressed by the incredibly natural textures and color variations that this rock displays. 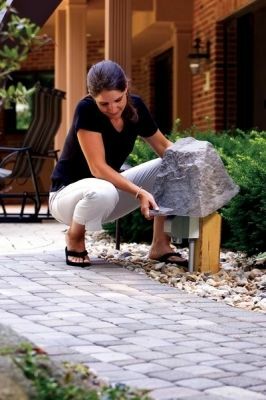 Unlike cheaply made varieties constructed of flimsy plastic which is smooth to the touch and shines unrealistically, this features an extremely real and rocklike exterior that will blend into any type of natural surroundings. The colorant is not painted on but incorporated throughout the thick exterior walls of these fake rocks. This creates a totally maintenance free product which will never require painting or any type of upkeep. Specially formulated resins contain UV protective polymers which prevent any type of fading from sun damage over time. 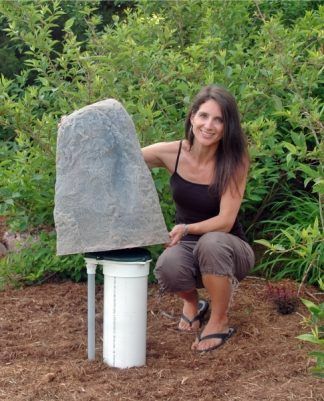 This model is ideally suited for small to medium objects such as outlets, vents, irrigation valves, and exterior lighting components. The rounded top gives this artificial stone a nice natural appearance that blends in well on any property. Durable string trimmer proof design will not crack or delaminate. Lightweight design is easy to carry and set in place. Includes high-quality ground stakes for wind protection. Hollow interior for hiding unattractive objects. Highly UV resistant and weather tolerable.